This recipe calls for 6 Granny Smith apples and only 2 tablespoon of sugar. 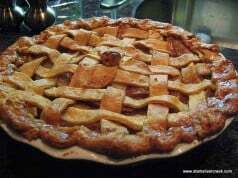 My "Easy as Pie" Apple Pie is a delicious classic that will be sure to please your family and friends. My "Easy as Pie" Apple Pie is a delicious classic that will be sure to please your family and friends. This one is ready for the oven. There is nothing like homemade apple pie with vanilla ice cream for dessert at a BBQ party. After enjoying some smokey ribs, succulent hamburgers, a thick slice of apple pie just hits the spot. 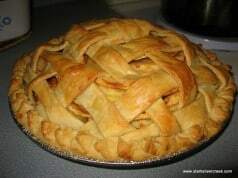 I baked one this past weekend and thought I’d share once again my classic recipe which will have you never buying a pie at the grocery store again. This recipe calls for 6 Granny Smith apples and only 2 tablespoon of sugar. It is bursting with apple flavor and perfect for any season really. It is the little black dress of desserts. 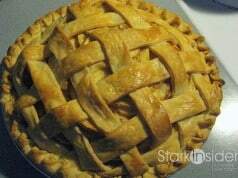 I’ve been making this recipe for 11 years and it is still the best recipe I’ve ever had for apple pie. 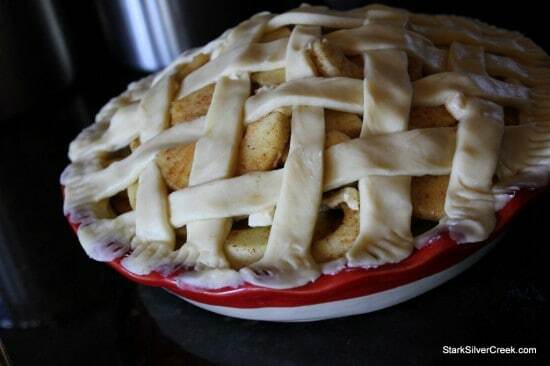 Yes, it is simple, but that is how apple pie should be. 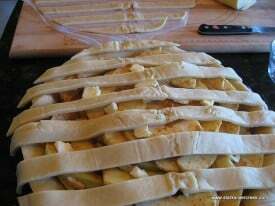 Last Christmas, I received an apple peeler which made the task of peeling and slicing the six apples needed for this recipe fast and simple. This particular model is great if you have a smooth counter top (mine is granite) because there is a strong suction cup which helps to stabilize the peeler as you are using it. This step use to take the majority of the prep time. Hope you and your family enjoy this recipe as much as we have! New year, new apple peeler!